Donald Trump Won. What Does That Mean for Education Policy? Expert opinion didn’t have a very good night. The polls were wrong, the political experts were wrong, and elite newspaper endorsements didn’t seem to affect the outcome. In some cases, voters outright rejected elite consensus. For an education example, the research on Boston charter schools is overwhelmingly positive, and yet Massachusetts voted down a ballot initiative that would have allowed them to expand. This isn’t just an education problem per se, but it does have troubling implications for the sector going forward. Our country has never been this politically divided across education levels. Donald Trump won non-college-educated voters by huge numbers even as Hillary Clinton became the first Democrat to win college-educated voters in 50 years. If these trends continue, or even accelerate, and political party becomes further associated with education levels, that will turn education itself into a political exercise. Now that Trump is President-Elect, a lot of Democrats will wish we were still under No Child Left Behind (NCLB). Even though many states were operating under waivers from NCLB, and a Trump Administration could have authored their own waivers, NCLB as an underlying law provided stronger protection for minorities and other subgroups of students than what’s now in place under the Every Student Succeeds Act (ESSA). As I’ve written before, the Trump transition team has tons of work to do. Given ESSA’s timelines, the new administration faces huge policy and logistical hurdles in their first six to eight months in office. They’ll need to review and approve every state’s accountability plan in that time. The Obama Administration’s regulations implementing ESSA are in trouble. Again given the timeline here, I don’t expect outright revocation for all of the draft rules, which would take time and formal processes, but I do expect informal “dear colleague” letters weakening the Obama proposals. In particular, the “supplement not supplant” rule was already on shaky political ground before the election. A Trump Administration is not likely to support it going forward. The Obama Administration’s legacy on higher education would take time to dismantle. Rules on gainful employment and teacher preparation are now final. For the Trump Administration to revoke either of those, it would take years of formal regulatory processes. If Republicans really want those gone, they’ll go after them through Congress. Existing grant awards (like the Teacher Incentive Fund or the Charter School Program) are safe. Congressional members will have an interest in funding continuation awards for those existing grants. Trump can’t do much unilaterally on #CommonCore or school choice. ESSA makes the federal role relatively impotent, no matter the president. I don’t expect a Republican-dominated Congress to take up any large education bills. Their focus will be on policy objectives like the Supreme Court vacancy, immigration, or Obamacare. I don’t think we’ll see a Perkins or Higher Education Act reauthorization, for example. There just isn’t political oxygen for those types of negotiations. Still, we may see some smaller things, like the DC voucher program perhaps, slipped into random must-pass bills. 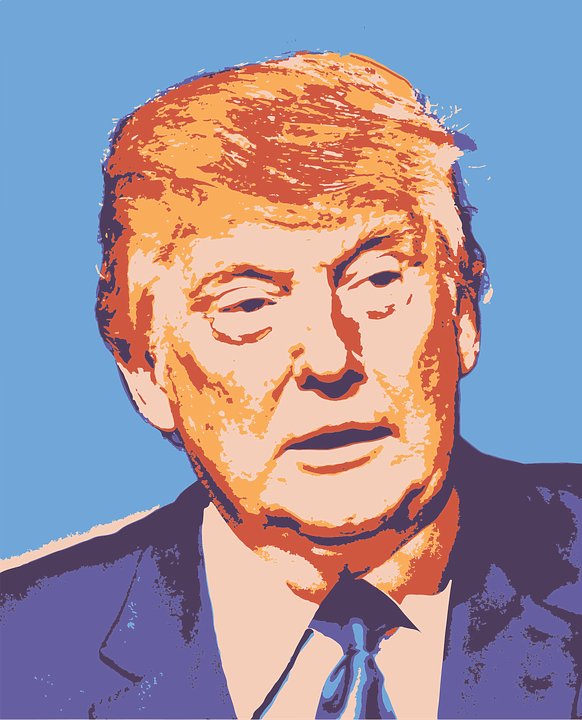 For more on the Trump victory and the implications for education policy, check out posts from Mike Petrilli and Rick Hess. This entry was posted in Federal Education Policy, Politics of Education and tagged Common Core, Donald Trump, ESSA, Every Student Succeeds Act, pre-k, Supplement not supplant on November 9, 2016 by Chad Aldeman. All students should be held to the same learning expectations throughout their K-12 experience. All teachers should meet the same level of practitioner ability before entering the profession. These two statements seem like no brainers. But in practice, determining the cut scores for student and teacher proficiency is complicated. So complicated that even well-meaning reforms have failed at the task. 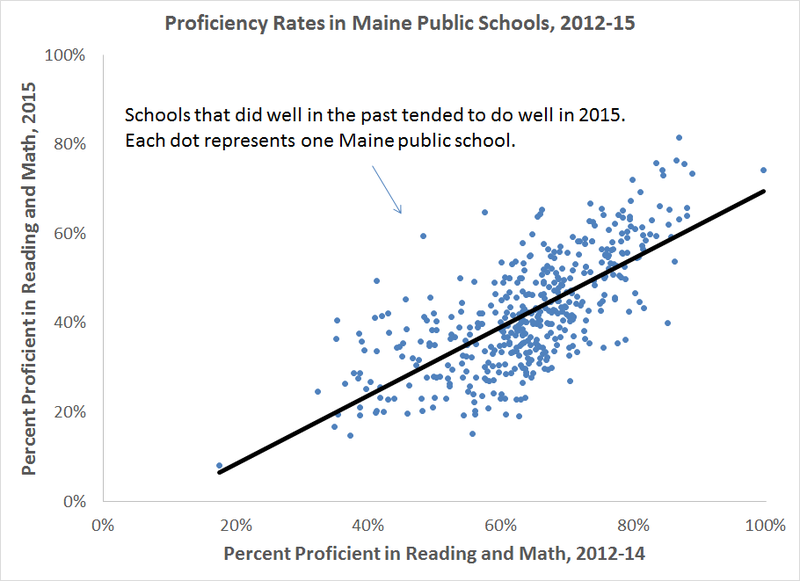 This week, Motoko Rich of The New York Times highlighted that states using the same assessment to test students’ proficiency on the Common Core State Standards are setting different proficiency labels. This means that while all students in Ohio, Illinois, and Massachusetts took the same assessment this year (PARCC), a 4th grade student in Ohio who is marked as proficient would be considered below proficient in Illinois and Massachusetts due to higher cut scores in the latter two states. * This disconnect is not new in K-12 education. For a long time states had their own homegrown standards and assessments so cross-state comparisons were all but impossible. It’s just that the Common Core was supposed to change all of that. Teachers face their own challenges in crossing state lines. A new educator assessment, edTPA, was developed to streamline the skills and knowledge teachers should possess before entering the classroom. This year, 17 states used edTPA and six of them attached consequences to the results. Of those six states, the passage cut scores for the assessment varied greatly state to state and were well below edTPA’s recommendations. This entry was posted in Education Policy, Politics of Education, Student Assessment, Teacher Effectiveness and tagged Common Core, edTPA on October 9, 2015 by Kaitlin Pennington. Politicians Couldn’t Agree on a “Common” Yardstick for Schools. Statisticians Created One Anyway. The “common” part of the Common Core is essentially dead. No, not the standards themselves. With 42 states and D.C. still sharing the same standards, those are still pretty common. I mean the other promise of the “Common” Core, that parents, taxpayers, and policymakers would be able to compare schools across state lines. That promise was always tenuous, and we were never that close to having full commonality anyway. From the beginning, the federal government funded two consortia, not one, to design assessments aligned to the Common Core (PARCC* and Smarter Balanced). Not all states joined the assessment consortia in the first place, and states slowly trickled away from them over time. So the political process to negotiate comparability is effectively dead. But where politics and compromise failed, leave it to American ingenuity to come up with a clever workaround. It turns out we do have comparable test score results. It just didn’t come the easy way. States aren’t using the same tests, and they aren’t using the same cut scores. But that didn’t stop researchers Jacob Vigdor and Josh McGee* from creating SchoolGrades.org, the first site to create a user-friendly, searchable database with nationally (and internationally) comparable school results. SchoolGrades takes each state’s own test results, on whichever particular test they use, and makes three adjustments to create comparability. 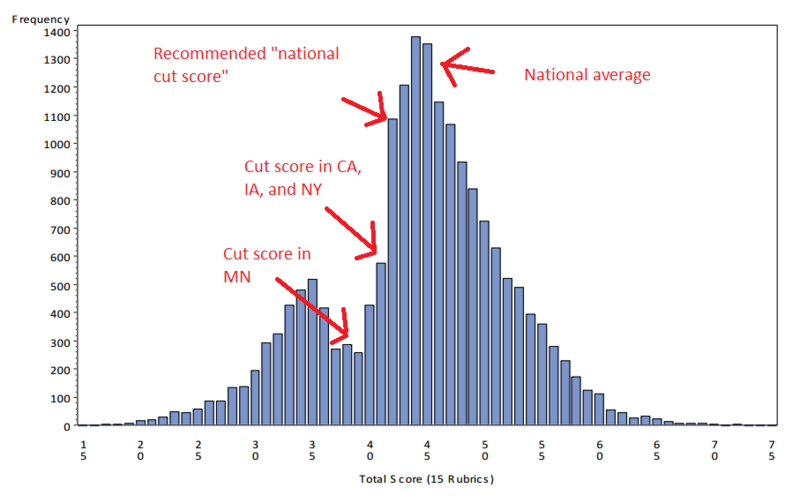 First, because states vary in how tough or easy they rate schools, SchoolGrades adjusts state test scores based on how rigorous they are compared to a national standard (NAEP). Second, because higher-poverty schools tend to have lower test scores, SchoolGrades adjusts school-level results based on the percentage of students who qualify for free or reduced-price lunch. Third, to put American schools in an internationally competitive context, SchoolGrades adjusts each school’s results based on how well American students perform compared to international peers (using the PISA exam). The result is a comparable, A-F grading system for all public elementary and middle schools in the U.S. The grades are equivalent across state lines, allowing me to objectively compare the school I went to as a kid in West Des Moines, Iowa with the school my daughter will go to in a few years in Fairfax, Virginia. Parents can also look at how all the schools in their area compare. To be clear, this is not the ideal situation. Statistical equivalencies are imperfect substitutes for having all students nationwide to be tested on the same content using the same test. Nor does it make sense for all states to create and administer their own test, particularly in a world where 43 states have voluntarily chosen the same set of math and reading standards. But this is the USA we live in, and this is the best we have in our de-centralized, federalist society. So if you haven’t yet, go check out SchoolGrades.org and look up your local schools. While you’re at it, marvel at both our political obstinacy and the ingenuity of clever workarounds. *Disclosures: PARCC is a Bellwether client, but I’m not part of the project team. Josh McGee works at the Laura and John Arnold Foundation, one of the funders of our work on teacher pensions. This entry was posted in Accountability, Politics of Education, State Education Policy, Student Assessment and tagged Common Core, SchoolGrades.org on September 14, 2015 by Chad Aldeman. This entry was posted in Accountability, Common Core, Federal Education Policy, Politics of Education, Uncategorized and tagged Accountability, annual testing, Arne Duncan, Common Core, Congress, ESEA, federal role in education, Lamar Alexander, NCLB reauthorization on January 20, 2015 by Andy Smarick.